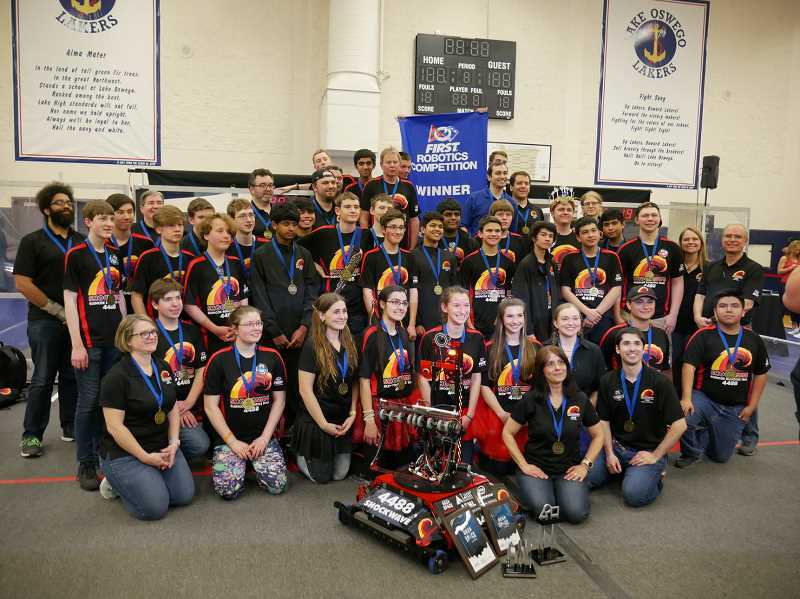 On Thursday, April 11, school district officials said students from Hillsboro, Glencoe, Liberty and Century high schools qualified for the annual championships of FIRST Robotics — For Inspiration & Recognition of Science & Technology. The national program works to promote science and engineering through robotics competitions. Through FIRST, students across the country design and build robots capable of competing in simple games, such as stacking blocks or playing soccer-like sports. The world championships, held in Houston and Detroit, Mich., draws more than 70,000 people from around the world, according to FIRST Robotics. The robotics teams at Glencoe and Liberty high schools qualified for the world championships in the program's "FIRST Robotics Competition," which uses large-scale robots. The two teams qualified after competing in the Northwest District Championships in Tacoma earlier this month. Each year, the program sends teams the instructions for a game. It's up to the teams to design and build robots to compete in that game. This year's FRC game, "Destination Deep Space," requires two teams to work together to hang rings and insert large balls into cubicles in a timed competition. Liberty High School's team, Aembot, placed ninth in the competition out of more than 150 teams. Glencoe's team, Shockwave, came in fourth. The two teams have made it to the championships before. Glencoe's robots have been featured at the Oregon Museum of Science and Industry. Two other Hillsboro schools, Century High and Hillsboro High, will also have students competing at the championships. The Awesome Nerds, a neighborhood team of Century and Hilhi students, also qualified. The Awesome Nerds will compete in the FIRST Tech Challenge — a smaller competition where teams of 6-8 students build robots large enough to fit on a table. The larger FIRST Robotics Competition uses teams as large as 30 students, who build robots which can weigh hundreds of pounds. The four-day competition kicks off Wednesday, April 17. The competition is held in conjunction with the FIRST Robotics Conference, which covers a wide variety of topics in the fields of science, technology, engineering, and robotics.